To celebrate 15 years, we invited collectors to showcase artworks purchased at previous Spring Fling weekends. 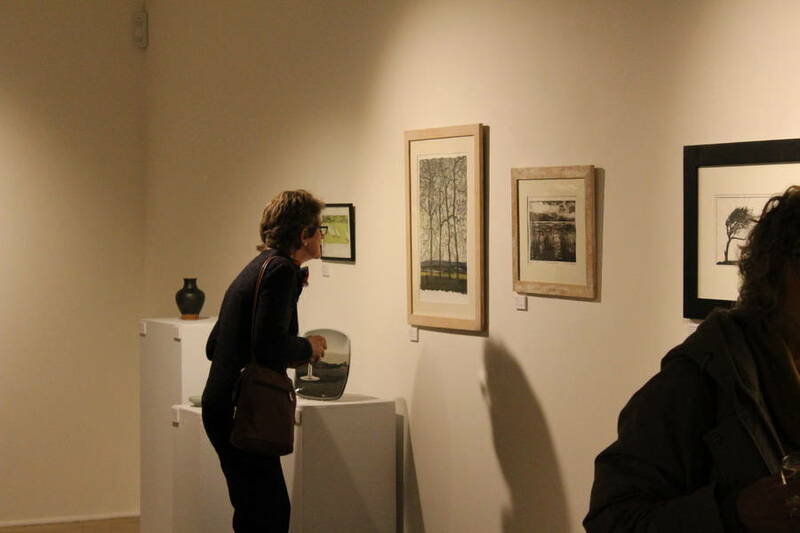 To celebrate our 15th year, we partnered with long-time Spring Fling supporter Gracefield Arts Centre in Dumfries for our Collected exhibition. Works were showcased by current and previous Spring Fling participants from private and public collections. This exhibition displayed not only a broad example of Spring Fling artists, but also explored where works are now, how they have shaped peoples lives and homes and helped highlight the special relationships built between artist and collector. “Helen has been a great champion of my work ever since my first Spring Fling. Her enthusiasm and encouragement through the years has been fantastic and she is now a great friend"
Amanda Simmons, Jo Gallant, Luscianne Lassalle, John Threlfall, Patti Lean, John Crosby, Nancy Chinnery, Andy Priestman, Clare Dawdry, Claire Cameron-Smith, Lisa Hooper, Silvana McLean, Mike Bolam, Colin Park, Bea Last, Suzanne Stuart Davies, Hazel Campbell, Bella Green, Jason Shackleton, Alexander Robb, Maggie Savage, Christine Milne, Linda Mallett and William Spurway.